Muddy says: A prime position on the Thames, with kayak and boat hire 50 metres away and a glorious terrace makes The Waterfront Cafe a shoe-in on a sunny day. 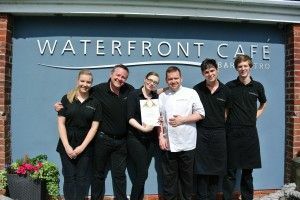 The Waterfront Café in Benson, South Oxfordshire, nestles the side of the river Thames on a beautiful stretch of water used by kayakers and day boaters, both of which can be hired 50 metres away. 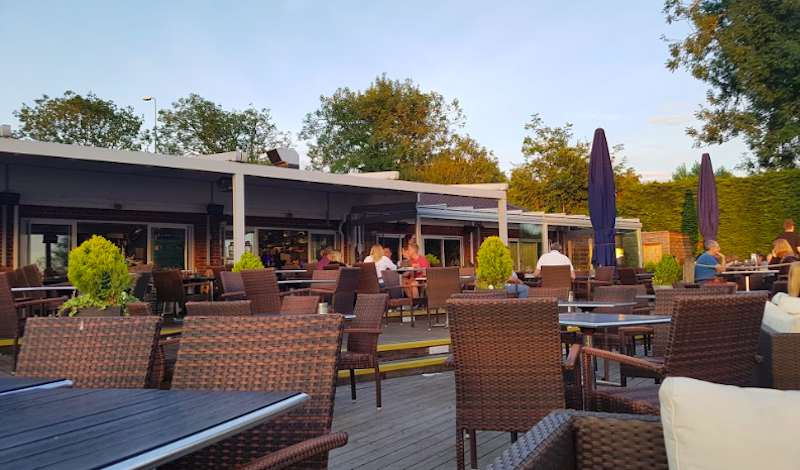 The Waterfront’s big calling card is its extensive decking area that looks directly out onto the water and over summer it maximises these assets with extended opening hours. However, it also opens 7 days a week throughout Autumn and Winter (8am – 5.30pm). I’ve been here several times with my family, hiring both kayaks and boats and put-putting up and down the Thames before having fish and chips on the terrace – it’s an absolutely glorious way to spend a sunny Oxfordshire day. The Waterfront interiors won’t trouble style magazines (they could possibly do with a spruce) but sometimes it really is all about location location location and this cafe bistro restaurant has it in spades.